The largest national park in Italy, Pollino, covers more than 475,000 acres and is home to silver fir and lobels maple, rhubarb and mint, newts and yellow-bellied toads, golden eagles and eagle owls. The Pollino line of cabinet jewelry brings the essence of that Italian national park to your home. 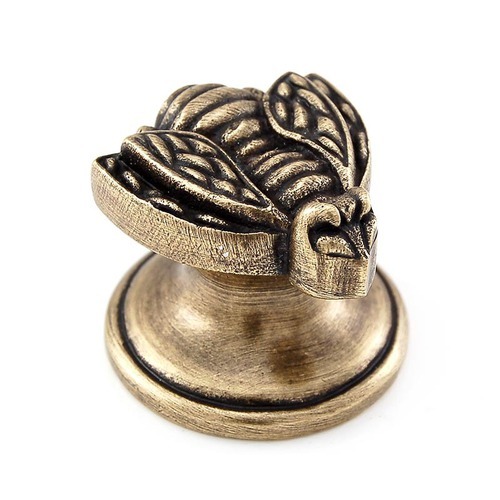 The bee small knobs are available in the following finishes: Antique Brass, Antique Copper, Antique Gold, Antique Nickel, Antique Silver, Gunmetal, Oil-Rubbed Bronze, Polished Gold, Polished Nickel, Polished Silver, Satin Nickel and Vintage Pewter. Mounting hardware is included. 100% lead free pewter. Handcrafted in the USA.